Here is a rare opportunity for UCLA and non-UCLA students to enroll in an on-campus screenwriting seminar with Professor Richard Walter. It’s easier to win admission to the Harvard Medical School than a seat in Professor Walter’s legendary screenwriting seminars at UCLA. He takes you all the way, from idea to draft to studio deal. UCLA-trained screenwriters have won three Oscars and five Oscar nominations in the past four years, and written ten movies for Steven Spielberg. 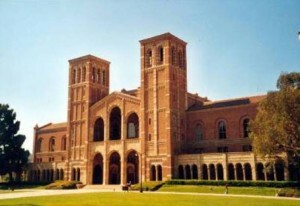 The class meets on UCLA’S Westwood campus for six Monday afternoons from June 24 through August 2, 2:00 to 4:50 PM. The class, listed in the online catalog of courses as “FILM TV 135A ADV SCRNWRTNG WKSHP” (more info here) is open to UCLA students and also to students who are not enrolled at UCLA. Students receive 8 credits. All pre-requisites are waived. 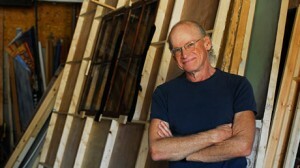 To enroll and register students can visit: http://www.summer.ucla.edu/EnrollRegister/overview.htm. Prospective students with questions on how to register can contact the UCLA Registrar’s office directly at (310) 825-4101, or Kathy A. Cabrera (Professor Walter’s media manager) at (678) 644-4122 or kathyAcabrera@yahoo.com.